Now cruising at an altitude of zero feet! This is my first completed bit of crafting as part of the no (well, less) faffing, more doing stuff regime. 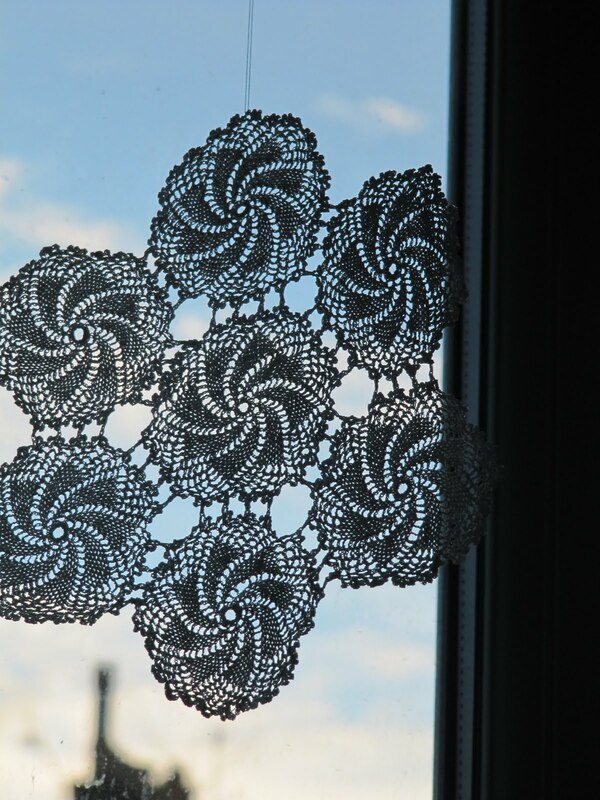 I found a set of hand crocheted doilies on ebay last month and some more in my favourite charity shop. I really love them - it's not just that they are beautiful, but you have to wonder about the person who made them, and the amazing skill they had. I wouldn't ever use these for their intended purpose so it didn't seem too sacrilegious to preserve them by turning them into snowflakes. 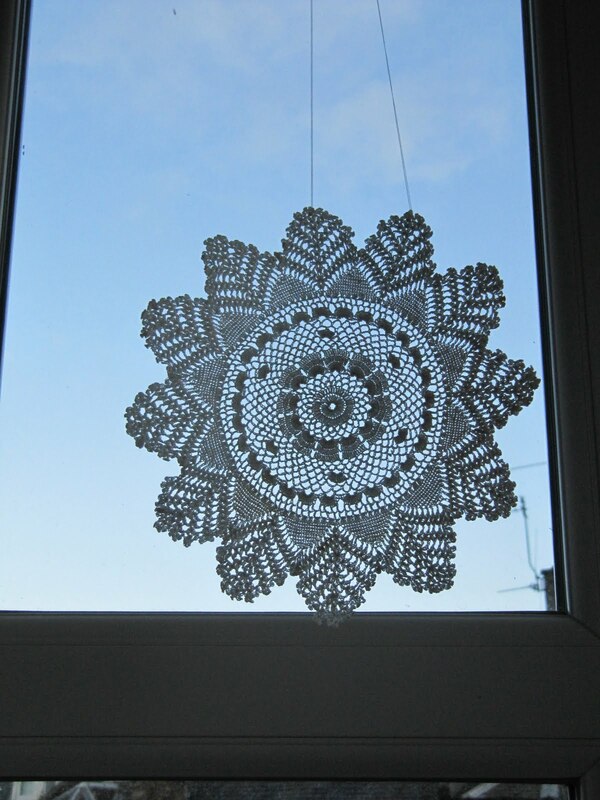 I can't remember where I first saw this idea, though if you google you'll find them on Martha Stewart's website. She uses fabric stiffener but I used a 50/50 mixture of white glue and water to soak them before squeezing them out and leaving them flat to dry on baking paper. 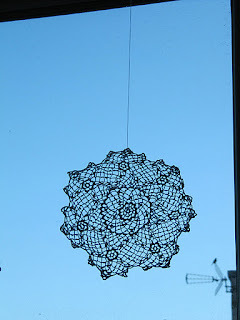 I wish I was clever enough to crochet my own like these but for now I'm going to have to work on my photography skills, and clean my windows. PS Just a quick note: there's an amazing giveaway over at Pings and Needles which ends midnight UK time today, Thursday. I've been reading about the Acu Go! Baby and seeing what other bloggers have done with it. It looks such fun. The last thing I can remember winning is a box of biscuits in a school raffle, when I was probably about five years old, so I'm keeping my fingers and toes crossed. 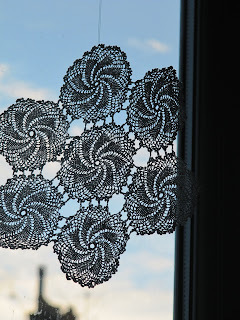 I just realised that I included in this post a link to a photo of crocheted snowflakes made by Susan at Canadian Abroad, rather than, as I intended, linking to her blog entry containing them. I've corrected this, so that the link should now take you to the right place. Sorry!